I’m sure you’ve heard about Invisalign. It’s another treatment method to traditional braces to straighten teeth at home and on your own time. 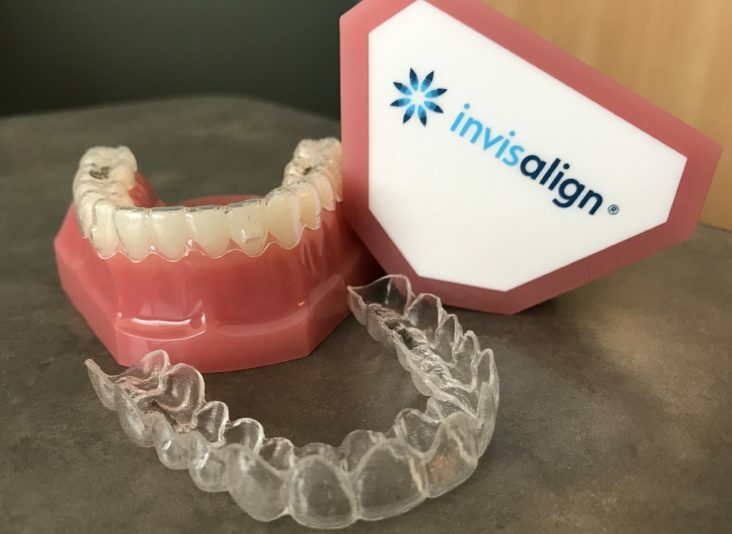 Invisalign treatment consists of multiple, clear trays that apply pressure to specific teeth, or areas on those teeth, to gently guide each tooth into the desired position. The trays are designed to wear in stages and are numbered in order of the treatment phases. Invisalign treatment typically lasts between 6-18 months, depending on how consistently the trays are worn and the amount of correction required. The actual Invisalign process is pretty straight forward, but how and where do you begin? Let’s take a closer look. At Pike Lake Dental Center, we offer free Invisalign consultations. Yes, I said FREE. You’ll find no pressure or sales pitch from our staff. We simply want to help you find out if Invisalign is a treatment option for you. If we discover Invisalign is not the best option, we are happy to refer you to one of our fantastic local orthodontists for traditional orthodontic care. If Invisalign is an option, we are happy to help you begin your journey to straighter, more beautiful teeth. The initial consultation visit lasts about 40 minutes. We start by discussing your teeth and goals for treatment. We take a few digital photos of your face and teeth. We also take digital impressions of both your upper and lower teeth with our new iTero scanner. No gooey, sticky impression material required! 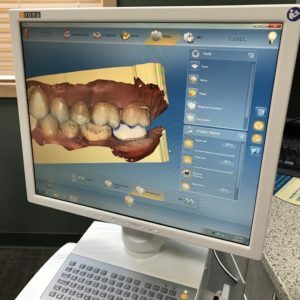 The iTero software compiles many images together and creates a virtual image with exact measurements of your mouth and how your teeth bite together. These files are sent electronically to Invisalign. Once the information is received by the Invisalign team, your treatment plan is created within 48 hours. 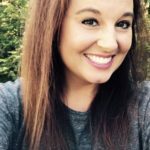 At this point, we are also able to gather information from you to send into your dental insurance company to preauthorize the Invisalign treatment. Some insurance companies provide adult orthodontic coverage. The second appointment with our office lasts about a half an hour. Ideally, we’d like to see you back for this appointment within a week of your initial consultation. At this appointment, we sit down with you and discuss your customized Invisalign treatment plan. You are able to see everything Invisalign has created for your unique, customized treatment. 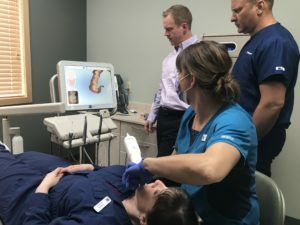 This even includes a 3D image of each phase of your treatment for each arch of your mouth, plus a view of your bite and how it will change during the course of treatment. It’s an amazing moment when a patient is able to view the images of their teeth post-treatment on the computer screen before treatment has even begun. This digital file can be shared with you via email so you are able to show images of your transformation with friends and family. We also discuss fees with you at this appointment. Invisalign treatment fees varies drastically depending on the different levels of treatment needed for each patient. It’s a worthy investment to attain the winning smile you deserve. If you’ve been thinking about Invisalign treatment, now is the time to contact our office for your free consultation. We are excited to help you achieve your very best smile here at Pike Lake Dental Center. Our office recently tested out a new 3D camera/scanner. 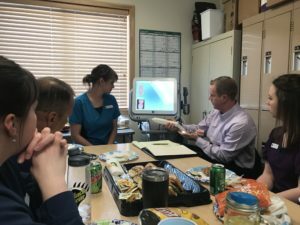 We had a lunch and learn meeting with the scanner’s salesman where we learned about the benefits and potential of the machine. We were able to test it out on each other and get a good feel for the product. It wasn’t a difficult decision to purchase the equipment. The scanner just arrived a few weeks ago and we’ve already been putting it to good use! How will this scanner help us help you? By digitally scanning our patients, we are able to create a baseline from which we will be able to monitor many different concerns. For instance, we will be able to monitor the entire structure of a patient’s mouth. If a person grinds their teeth, we can monitor and track the wear on the teeth to fractions of millimeters. The software will even highlight the differences between each scan a patient has with our office. If a patient suffers from periodontal issues, we will be able to track the pockets and receding gum tissue. 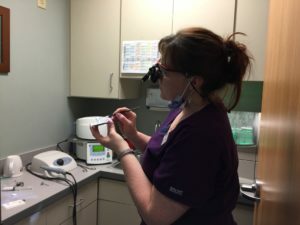 When a patient sees regression on the results of their at-home periodontal care, it will be a lot easier to guide them toward the appropriate care and areas that require more attention. 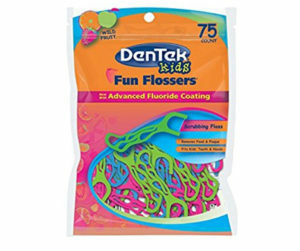 When there is progress with their at-home perio care, we will be able to celebrate their accomplishments with them – in vivid color! Visual aids are always helpful with patient care and treatment understanding. This scanner also helps us continue to eliminate the gooey impression material for most procedures. We can take digital impressions to send to dental labs for splints, crowns, bridges, surgical guides, Invisalign and more. 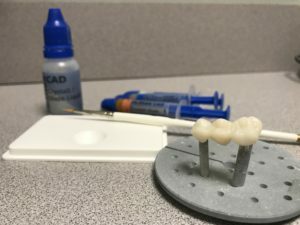 We can also send those same scans to our own CEREC and 3D printer to create crowns, bridges, splints, implants, surgical guides, study models, and more. I feel the possibilities are endless! 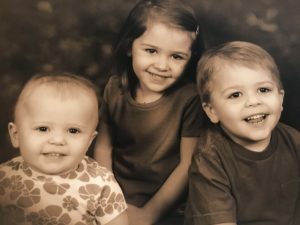 The actual time it takes to retrieve the full mouth scan is minimal – only about two minutes. In that short time, we gain so much valuable information. 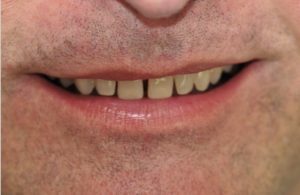 The process is simple – we move this wand over your teeth while the scanner takes thousands of photos and binds them together to form one, big image. It is taking precise measurements and acquiring exact data about your teeth, much more accurate than the old, gooey impressions could. Have you ever taken a visual tour of your entire mouth? It’s pretty amazing to see new views your teeth and in color! We can even stop and take individual photos of teeth, which we could send to insurance companies or use as before and after photos. Again, the possibilities are endless! A digital scan, kept on file, can be reused for multiple purposes. Perhaps we scanned you in May for a baseline scan. In August you find you need a splint to help cure nighttime clenching. We can use the same scan. In October, you break a tooth and need a crown. Yes, we can use the same scan. So, will this service cost you more? Nope! This is simply another tool we will use to better diagnose, track and aid in our patients’ treatment. We demand the best for our patients. If we can make your time at our office more efficient, comfortable or more economical, we will do it. If we can help you understand your diagnosis or treatment better, we will do it. Providing you with the best dental care available is at the core of every one of our decisions. Insist on the best! You are worth it! A Traditional Sleep Study for Sleep Apnea – Is There Another Option? If you suspect you or a loved one suffer from sleep apnea, you’ve probably also given some thought to a traditional sleep study to be officially diagnosed. Going to a sleep study clinic for an overnight, with all those wires attached to you, doesn’t probably sound like a very fun night out. What if there was another option for an accurate sleep study? 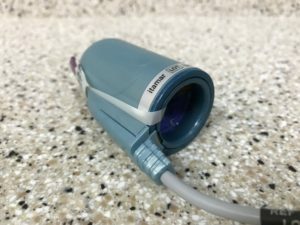 What if you could have a sleep study taken while sleeping in your own bed, with just this little machine attached to your chest, wrist and first finger? Sounds appealing, right? A few months ago, Stacey, a RDH here at our office, suggested this device to Dr. Matt. 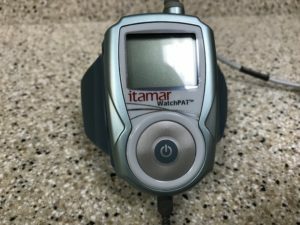 She had a friend in another state whose dental office was using this device for sleep studies on their patients. She did some more research into the company and convinced Dr. Matt the WatchPAT deserved consideration. 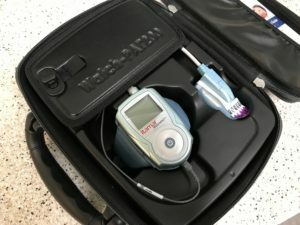 We were able to test it out on one patient prior to purchasing the kit. We decided to test it on the husband of one of our assistants. Guess what? He has sleep apnea. His reviews of the test itself were positive. 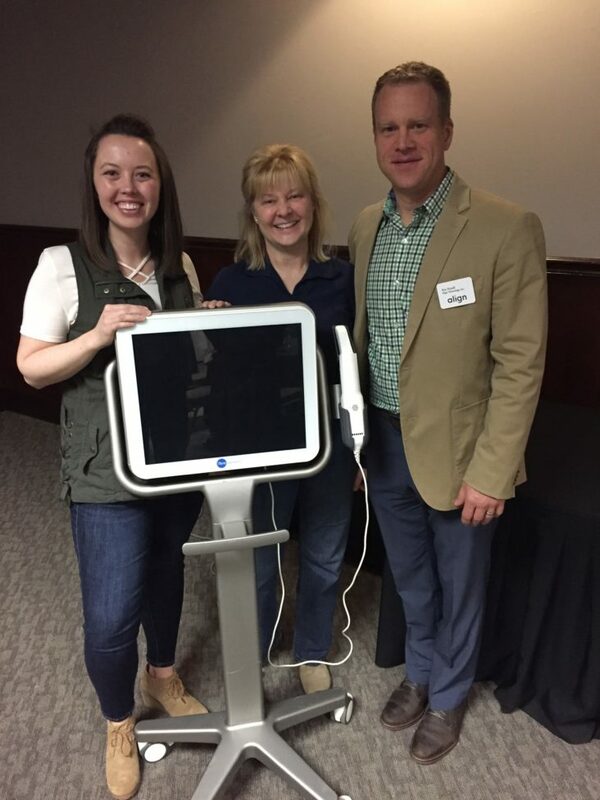 We were convinced it was a piece of technology we wanted to offer our patients. Let me tell you a little about the WatchPAT. 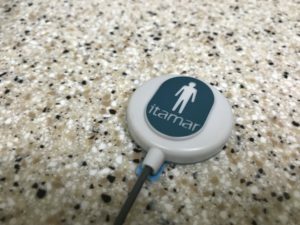 The WatchPAT is a small device that is able to monitor a patient’s sleep and confirm whether or not he or she suffers from sleep apnea. 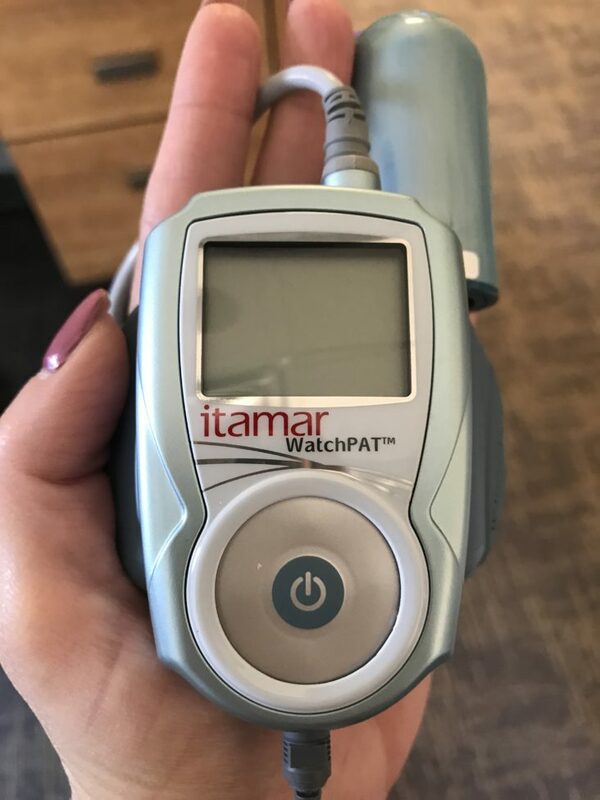 To gain this diagnosis, the WatchPAT monitors sleep time, snoring, restless sleep, each stage of sleep (REM, deep and light), sleep position, and the oxygen in the blood. It’s pretty complex for as little as it is! The test process is simple. 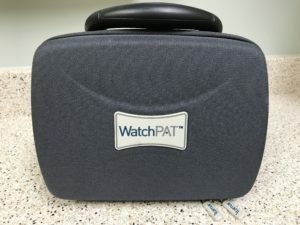 A patient settles into bed for the night, applies the Snoring/Body Position Sensor on their chest, straps the WatchPat onto their non-dominant wrist, places the uPAT sleeve over their ring finger and turns on the device. It’s that simple! The necessary data is collected while you sleep. The next morning the patient packs the pieces back into the carrying case and returns it back to our office. We upload the collected data to a sleep study doctor. The results are returned to us within a day usually. The best part: You can do this sleep study right in your own home, in the comfort of your own bed! We believe it’s a more accurate study because your sleep is more natural in your own comfortable surroundings. The cost of the sleep study is less than the cost of an overnight in an average hotel. Would that fee be worth it to receive answers to health questions? We aren’t saying this sleep study is right for everyone. It doesn’t always prove each patient we’ve tested has sleep apnea. It’s just another option we are excited to offer our patients. So how do we decide which patients to test? Sometimes a patient or their spouse suspects they have sleep apnea, as in our first test patient. There are also some clues that we notice either during an exam or while talking with a patient that tip us off to possible sleep apnea sufferers. Most often, the patients we screen are more mild cases of sleep apnea that we suspect we can treat with a TAP3 oral device, made through our dental office. 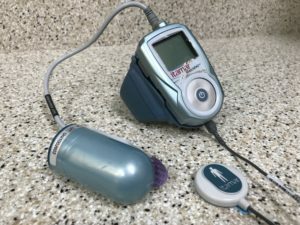 For another blog post on sleep apnea and the TAP3 devices we make for our patients, click on this link. Oftentimes, patients are surprised by the sleep study results. Even more often, they are surprised by the severity of their results. We have seen patients who have been misdiagnosed by others, or they haven’t felt the symptoms they present are severe enough to warrant sharing them with their healthcare professionals. After a confirmed diagnosis, we are there to help guide a patient through the next phases of treatment and healing. We also recommend patients to follow up with their physicians and share the WatchPAT results with them. The more thorough care our patients receive from both our office and their physicians, the better the success rate is. 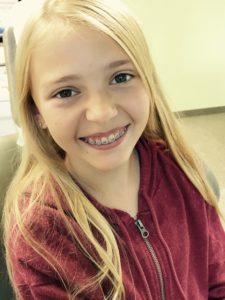 My 12 year old daughter started her journey with braces in March of 2017. 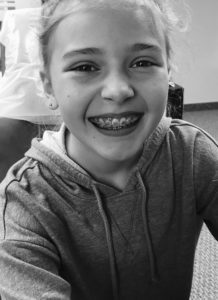 Since then, she’s had to learn how to take care of her teeth a little differently than she did before starting orthodontia. 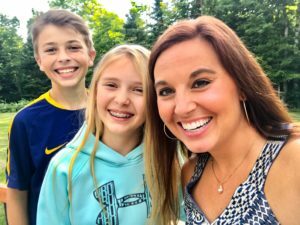 Of my three kids, Katie is the child who thrives on routine the most. She packs her school backpack exactly the same way every day. She keeps her bedroom and locker orderly. She arranges her pillows “just so” on her bed each night. So when she started ortho, I expected her to continue with her regular brushing routine, which she did. 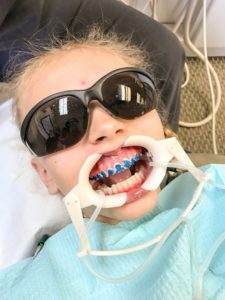 It became evident quite quickly that her regular brushing routine was not going to be enough with the new brackets and wires she was sporting. I could see a build up of food and plaque on her teeth when she smiled. I found myself asking her nearly every day if she had even brushed her teeth that morning and she’d always answer me with an exasperated “yes”. She truly had. 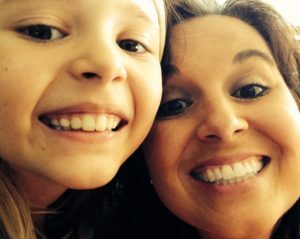 She brushed her teeth every morning after breakfast and every evening before bed, sometimes even at school. She brushed for two minutes, twice a day. That’s the trademark rule and she was following it. Her dad is a dentist for goodness sake! 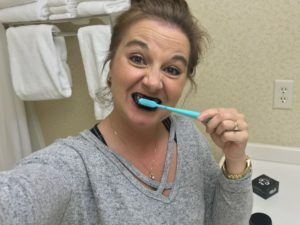 I would harp on her that she needed to do a better job brushing, that she was missing critical areas in her mouth or that she was brushing her teeth too lightly to be effective. This was serious! 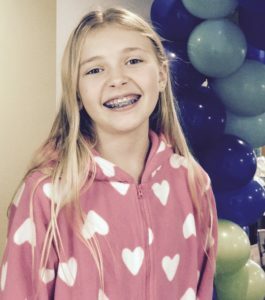 I would tell her constantly that braces are a huge investment, a serious responsibility and an incredible gift to receive as a kid. 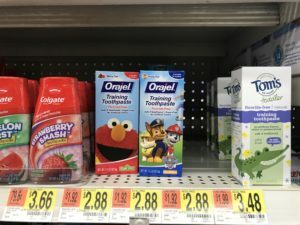 She had to take better care of her teeth, especially now! Katie would counter that she knew all of those things and she was taking care of her teeth. Duh! Her dad is a dentist for goodness sake! Our daily conversations would almost always turn into an argument and neither of us would feel good about them afterword. 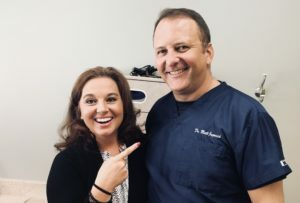 Then, at one of our first monthly return visits with her orthodontist, who also happens to be a dear family friend, I put both Katie and Dr. Landrigan on the spot. “Let’s talk about brushing,” I suggested while the doctor was examining Katie’s teeth. 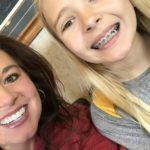 I still feel a little guilty for making him uncomfortable by putting him on the spot, but Katie needed to hear it directly from her trusted orthodontist because she wasn’t listening to me. She was brushing regularly. How could we remedy this problem? We spent a few minutes talking about brushing habits and together decided she needed an electric toothbrush. Just our luck – I know a guy! Wink. Wink. We drove straight to my husband’s dental office and picked up a snazzy, new Oral-B electric toothbrush for Katie. It was something new and fun and it was able to connect to her cell phone via Bluetooth. It was cool! The best part: her older siblings didn’t have this snazzy Oral-B electric toothbrush. Katie unpacked the box immediately when we got home, downloaded the Oral-B app onto her phone, set up the Bluetooth connection and started brushing her teeth. Bam! Victory! In this age of technology, this particular electric toothbrush and smartphone combo does a few things. The toothbrush syncs with the Oral-B app, which has a timer that keeps track of how long and how often you brush. 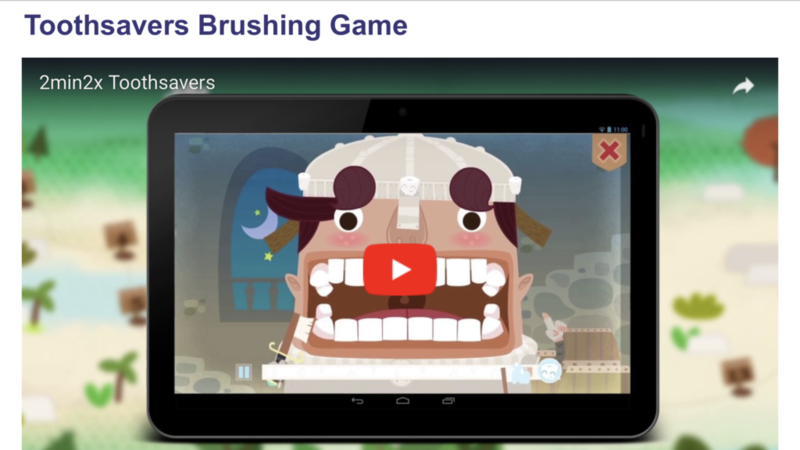 The app tracks where you brush, so you know if you’ve spent enough time on each area of your mouth. 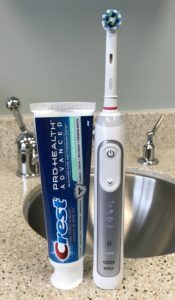 It can detect if you’re brushing too hard or aggressively, which are very common problems. Plus, it celebrates your success. The electric toothbrush has been a game changer for Katie’s over all oral hygiene, especially while she’s in ortho. I noticed a difference in her teeth and smile almost immediately. Her teeth actually looked clean. 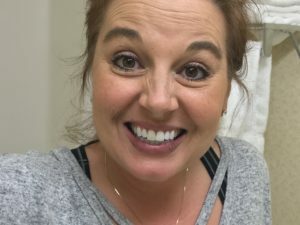 There was no visible buildup of plaque and her teeth were actually shiny. What a difference! 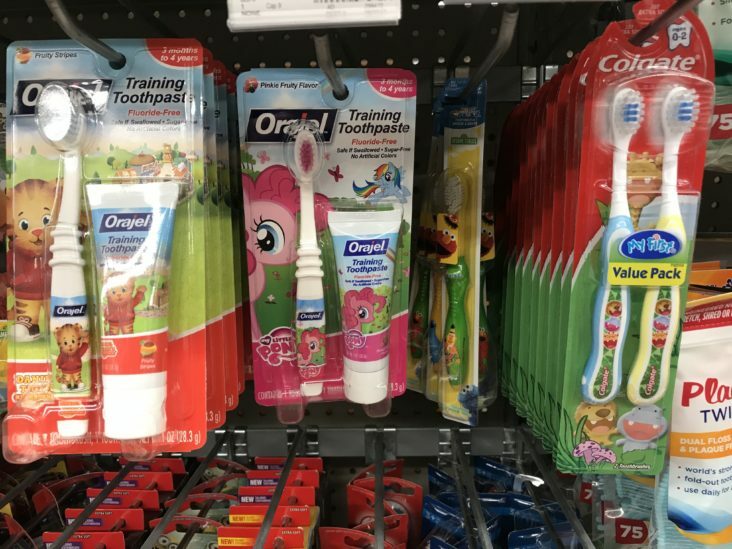 She is now able to brush her teeth much more thoroughly, getting in between and around every bracket, even in those hard to reach areas. I even feel her teeth stay cleaner longer with the new toothbrush. I wasn’t the only one who noticed the difference in Katie’s oral hygiene. At her next ortho appointment, Katie was commended on her improved tooth brushing. She feels much more confident with her silver smile now too. I know she’s got the tools she needs to take much better care of her teeth and her braces. I often joke that my husband and I finally nailed parenting with our third child, but part of that imagined expertise includes a lot of trial and error. As a parent, I’m thankful for technology that helps make mundane tasks fun and even helps monitor things I cannot. 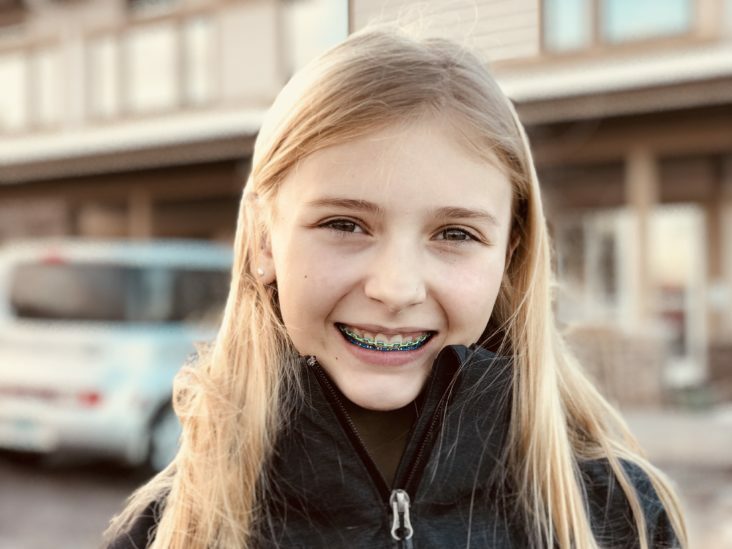 From one parent to another, if you’re making a huge investment into your child’s teeth through orthodontia, please also keep in mind the importance of oral hygiene during this critical time. 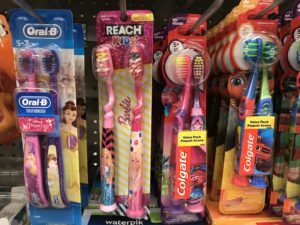 Sometimes it’s something as simple as an electric toothbrush that can transform your child’s brushing habits and empower them to help take care of themselves, even as pre-teens. 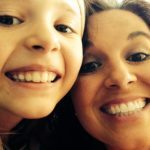 If together we can find ways to make parenting easier and less stressful, I’m all for it! We’ve been talking a lot about our CEREC lately both in the office and on Facebook. CEREC is an acronym for Chairside Economical Restoration of Esthetic Ceramics or CEramic REConstruction. This two part system has revolutionized crowns and bridges in our office. Just this week, we had a technician out to perform some routine service our milling unit. He told us we had over 49,000 minutes on this machine. In 11 years, that’s a lot of run time! 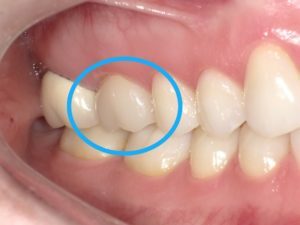 So what does a CEREC mean for you as a patient? The biggest advantage of the CEREC is the time savings. We can make a crown or bridge in one appointment, compared to a lab-created crown that requires two visits at least two weeks apart. One ninety minute appointment is all it takes from start to finish to own a strong and beautiful crown. You only come to our office once for the crown – that means one visit, one day with time off work, not two. The time savings for us includes confirming one appointment, cleaning one room and not recementing crowns between temporary and final crown visits. It may not sound like a whole lot of time savings for us, but it is. 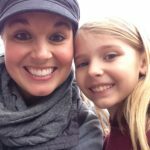 No more gooey impressions! 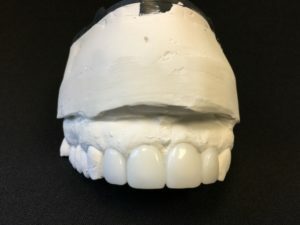 Before, we would take impressions with the gooey impression material two times during a crown or bridge prep and send them off to the dental lab to create the crown or bridge for us. 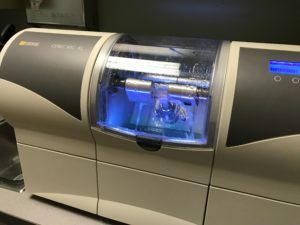 Now, impressions are made digitally with this machine, the CEREC acquisition unit. Not only can we take digital impressions for crowns and bridges with this machine – we can take impressions for dental implants, Invisalign treatment plans, night guards or splints, surgical guides, and even whitening kits. Digital impressions are so much easier and much more precise than the old style gooey impressions. Plus, we keep the scanned file in the patient’s digital chart, so we are able to refer back to it if it’s ever needed. Another cool bonus about the CEREC is you, as a patient, can watch your new crown being made from start to finish. The impression and design process is done right in the operatory with you. 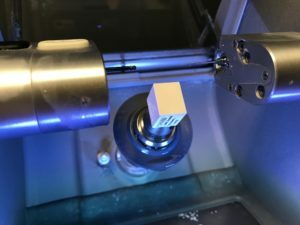 Once we send the file to the milling unit, you can watch the tooth progress. This isn’t top secret science, we want you to be involved! There aren’t many times a person can say they watched a tooth, especially their own, being created right before their eyes. With no lab bills, we are able to keep our crown prices lower and much more competitive than we would with rising lab fees. 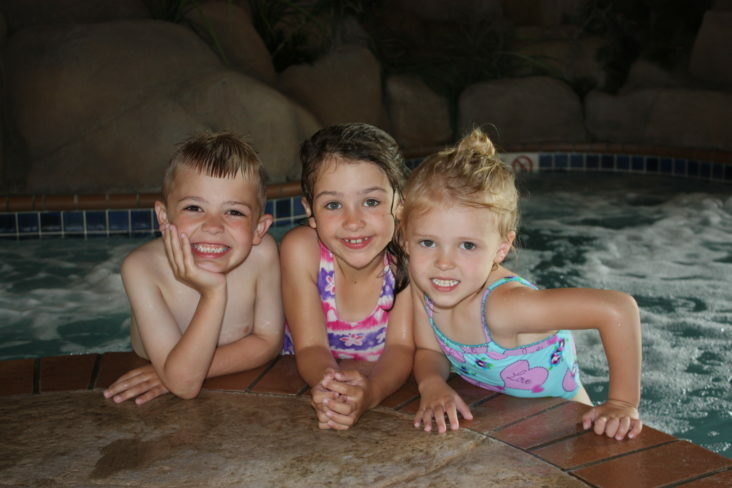 Being able to give our patients quality care with competitive fees is extremely important to us. We can also keep a close eye on quality control. Sometimes we would get a crown back from the lab and it wouldn’t fit well or it was the wrong shade. In those instances, it usually meant taking impressions again and sending the crown back to the lab. It also usually meant having the patient come back to our office again in another two weeks. Not so anymore. If something is wrong with the crown, we can quickly mill another one. We make sure every crown is made to our extremely high standards. We even use our skills to custom shade the crowns to get the perfect shade for each unique patient. I’d be lying if I told you we don’t like playing with the technology, too. It gives us great satisfaction to know we have created something strong, beautiful and durable from start to finish right here inside our office. Being able to learn and improve upon all aspects of the crown process from creation to completion, we have honed our skills over the past eleven years and can produce a consistent, high-quality product with extremely high customer satisfaction. We are pretty proud of that fact. 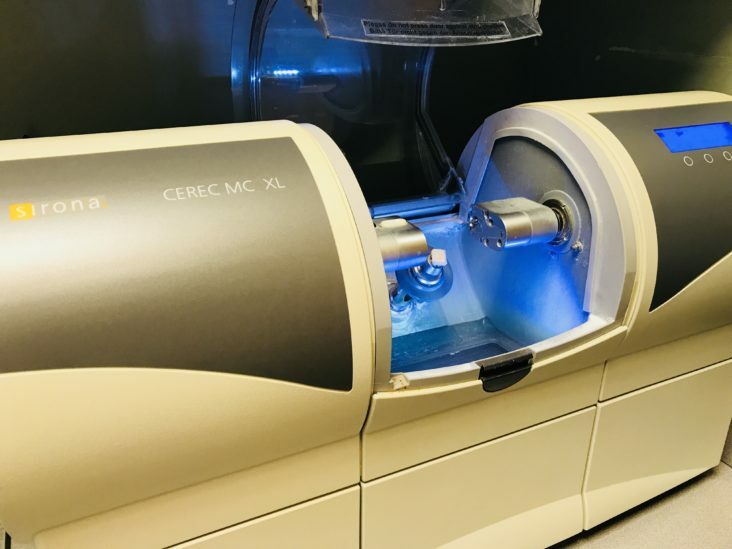 In hindsight, we are extremely happy we invested in our CEREC many years ago. We have made some updates with software and cameras over the years and have taken care of it with routine maintenance and service. We have loved this machine and our patients love it too. 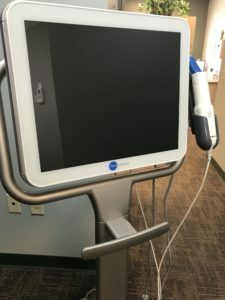 With this machine, we are utilizing the latest and best technology to ensure our patients are receiving the best care available. Insist on the best – you’re worth it! I’m a sucker for online businesses that conveniently mail you fun, little luxury products once a month or every quarter. Ipsy, BirchBox and ScentBird are a few of my favorite companies that offer monthly subscriptions for about $15. At the insistence of a friend that raved about the products she received from the company Fab, Fit, Fun, I joined. With an active family and me recently going back to work, there is little free time to spend on myself, so these mail delivery boxes have become my little pick-me-up treats. Plus, who doesn’t love beauty supplies that magically show up on their doorstep every so often? A few months ago, I received a charcoal whitening kit in my Fab, Fit, Fun box. 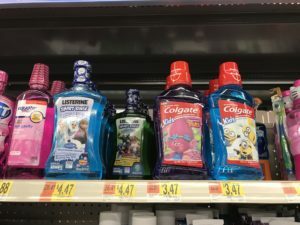 Being a dentist’s wife, I am all about teeth and products to keep them looking and feeling healthy. This product intrigued me. 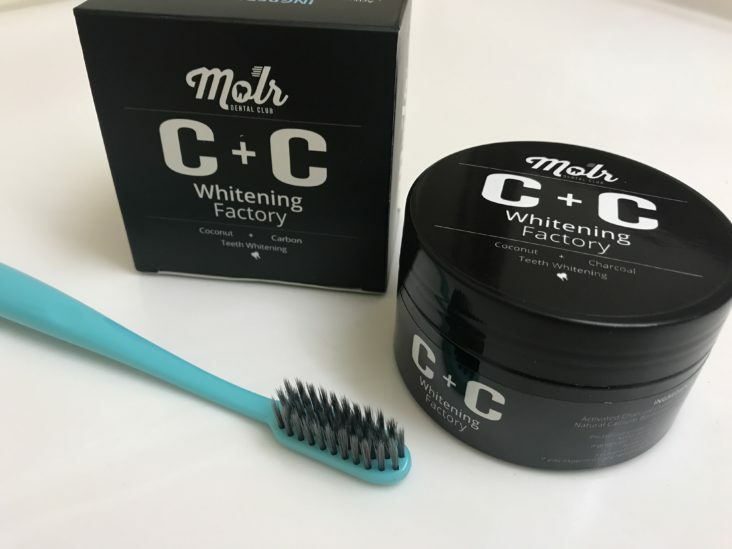 I’ve seen many advertisements on social media for charcoal whitening and have been interested in it. So, when a charcoal whitening kit was mailed to me without any effort on my part, I knew I needed to at least give it a try. 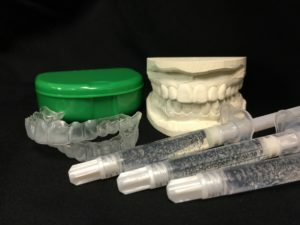 I talked with my husband about his thoughts on this method of tooth whitening and he listed his concerns: possible tooth abrasion, safety, cost, etc. In the end, he said to try it. If anything were to go wrong, I know the guy who could fix it. Wink. Wink. 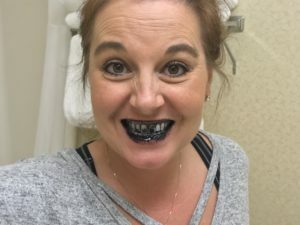 My friend, who had tried the charcoal whitening kit already, forewarned me about it being a mess, so I took it along with me when my daughter and I stayed overnight at a hotel for a volleyball tournament. Yes, I’m THAT evil person. Instead of messing up my own bathroom sink, I’ll mess up the hotel’s sink. To be perfectly fair, I did clean it all up once I was done. The charcoal powder is EXTREMELY FINE. The directions said to sprinkle the powder on a dampened toothbrush. I seemed to get more sprinkled all over the sink than I did on my toothbrush, so I adjusted my tactic. I tapped off the excess water from my brush and dipped the bristles into the powder. Then I gently began to brush my teeth. If you ever try charcoal whitening, this next part is the funny part. Be ready to laugh! The result while brushing with the charcoal powder is hilarious. I was laughing so hard in the hotel bathroom, my daughter came in to make sure I was ok. 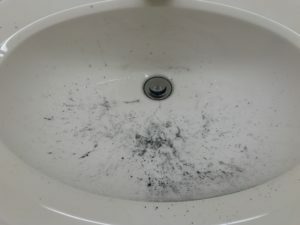 The ultra fine powder was everywhere – on the sink, the counter, up my nose, in my hair, on my face, on the floor. We both had a good laugh about it. 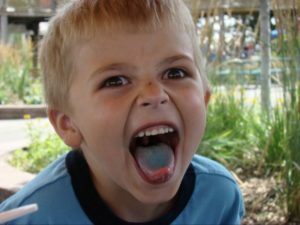 Try laughing while brushing your teeth – it is messy. I didn’t want to brush too aggressively, especially since Matt had said he was worried about possible abrasion. I didn’t feel that the charcoal powder was gritty. I had expected it to feel like sand in my mouth, but it is so fine that it isn’t gritty at all. There wasn’t a taste to the charcoal powder either, which was unexpected. Two minutes with black teeth seems to last forever. At last, the time was up and I could spit and rinse. Because I didn’t have a real minty-fresh feeling in my mouth, I brushed my teeth quickly with my regular toothpaste after using the charcoal powder. The result: I didn’t notice a huge difference, although going from black to white teeth did seem like a HUGE change. Clean up was easy. I did make a much bigger mess than I had expected. That powder gets everywhere! It was all over my face, all over the sink and the counter, even the floor. A damp cloth was all I needed to wipe everything down. The powder didn’t stain anything. I continued to use the charcoal powder for about a month, brushing twice daily as recommended by the manufacturer. I never experienced any sensitivity while using the charcoal powder. I also didn’t experience any shade change on my teeth. I liked the organic feel to the powder and the fact I could easily pronounce all the ingredients in the powder… Activated Charcoal (made from Raw Coconut Shell), Natural Calcium Bentonite Clay and Organic Mint Extract. All in all, I was glad I tried the charcoal powder. It had intrigued me and I think it would have always fallen into my “Woulda, Shoulda, Coulda” category if I hadn’t given it a try. Would I recommend it? Sure. Just because I didn’t notice a change in my tooth shade, doesn’t mean the next person won’t. It was fun. It’s something different. It’s a fad. I’ll stick with my tried and true professional whitening kit. Before beginning a whitening regimen, please consult with your dentist. He or she can help you make the best choice on which whitening products are best for you based on credible research and facts. Make the most of your whitening experience and only use products that are proven to give you safe, effective results. While watching television the other night, my husband tuned to a documentary about the opioid epidemic our nation is facing. I half listened to the program while I was finishing up some work on the computer. 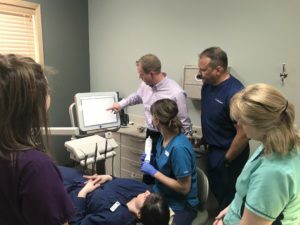 The program got me thinking about how prescription medications have changed drastically for the dental community and, more specifically, Pike Lake Dental Center over the last number of years. 20+ years ago, when I worked in the front office at Pike Lake Dental Center, it was easy to simply call in a prescription for Lortab. 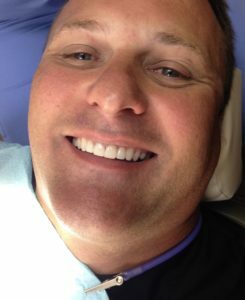 Dr. Matt would prescribe the drug for our patients to control pain associated with toothaches and extractions or large procedures that might cause some discomfort after the anesthetic wore off. The opioid drugs, Lortab in particular, seemed to be miracle drugs. The medication was easy and inexpensive to obtain. It worked really, really well to manage pain. It seemed wonderful… at first. Little did we know as providers, consumers and as an entire society just how dangerous and addicting these drugs would be! About 10-15 years ago, a shift slowly started to take place. We started to hear more about drug-seekers, people who would call dentists after hours or on the weekends claiming they were in severe pain and hope the dentist on call would choose to prescribe medication over the phone versus going into the office on the weekend. That same drug-seeking individual might call multiple dental offices and also visit the emergency room, attempting to acquire the same prescription drugs in large quantities. Sometimes we heard about these people through our friends in the dental community. Sometimes a pharmacy would tip us off that it was this person’s second or third prescription for the same drug in a short amount of time. Thankfully, it has been our office policy for as long as I can remember that we DO NOT come into the office in the evenings or on the weekends to see a person who isn’t a patient of record. This policy was put in place to protect our staff from the possible dangers meeting a stranger at night in an empty office might bring. It is also against our office policy to prescribe medications to individuals who are not patients of record at our office, thus relieving us of the decision to call in a prescription for a desperate “potential” patient seeking prescription medications late at night or on the weekends. Instead, we refer them to the local emergency room, which is always open and staffed with extremely capable physicians to help manage pain. I remember being particularly alarmed and immediately suspicious when a patient would claim, “Only the 10 mg. Lortab tablets work for me. Could I get 30 of them, please?” It seemed awfully convenient that they knew what drug and just how much of it they desired on a Saturday night. Looking back, I wonder how often these drugs were blindly prescribed across America for patients, all parties involved having no idea how harmful and addictive the drugs could and would be. Slowly, very slowly, we began opening our eyes as a society to the dangers of the prescription narcotics. We, as dental professionals, were also learning more about the addictions patients faced while consuming the drugs. The movement took years and sadly cost many people addicted to opioids their families, their homes, their jobs and, for some, their lives. Recently, the FDA has clamped down on prescription opioids. The dependencies people have developed to the drugs have reached epidemic levels throughout the United States. Drastic and immediate measures needed to take place to control the opioids and I believe we are starting to see a positive change. Education on the drugs and their potential hazards are more widely shared with the public. We are now aware of the frighteningly fast rate of dependency some people suffer from with opioids. Today at Pike Lake Dental Center, we almost never prescribe narcotics for our patients. Instead, we give our patients detailed instructions for managing their pain without strong and potentially addictive prescription medications. It is amazing how discomfort can be controlled by means other than potentially addicting prescription medications. The way prescription opioids are ordered by practitioners through pharmacies has also dramatically changed over the years. No longer can an office simply call a pharmacy and order up 10 tablets of Lortab for a patient. A computer generated, watermarked prescription must be printed and signed by the ordering dentist or physician and be hand delivered to the pharmacy by the patient. We don’t even have the old-school prescription pads at our office anymore. Instead of large quantities of the medications, we now prescribe 2 or 3 pills at a time, not 10, and certainly no refills without carefully monitored patient progress. As I cleaned out our family medicine cabinet recently, I found some opioids my daughter’s surgeon had prescribed for her a few years ago following a broken arm and emergency surgery. Knowing the risks of these drugs, we had successfully managed her pain with over the counter medications. The entire prescription remained forgotten in our medicine cabinet for years. What was the best way to dispose of the pills? I didn’t want them falling into the wrong hands or harming the environment. I did some research and found some valuable information for safe and local disposal of medications. Listed on each of these linked websites are instructions and locations on how and where to safely dispose of any unwanted household over the counter or prescription medications, even unused pet medications. 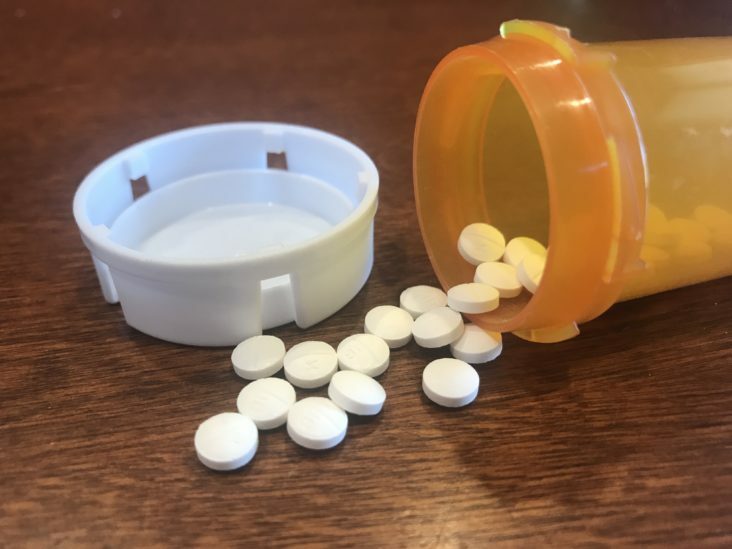 If you don’t live near Duluth or on the Iron Range of Minnesota, please search your local county or city websites for more information on how and where to safely dispose of medications. Safely disposing of these drugs is important for people, pets, wild animals and our environment. As an entire society and as an independent dental practice, I feel we have made great progress to limit the amounts of opioids prescribed to patients. I am thankful that it’s much harder to prescribe and to acquire the drugs than it was just 10 years ago. I’m also thankful we are all finally aware of the dangers of opioids. Knowledge is key, especially when it comes to prescription medications.